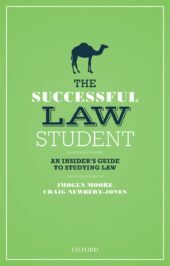 Your favourite club at school was the debating society, and you managed to negotiate an increase in pocket money as a teenager – it was obvious you were going to study law. But how much do you really know about studying for a law degree in the UK? How many people apply? And what pathways are available once you graduate? Take our quiz to find out. Featured image: “Lecture Theatre” by Ian Barbour. CC0 Public domain via Flickr. Kimberley Payne works in the Higher Education Law Marketing team at Oxford University Press. It was obvious you were going to study law. But how much do you really know about studying for a law degree in the UK?